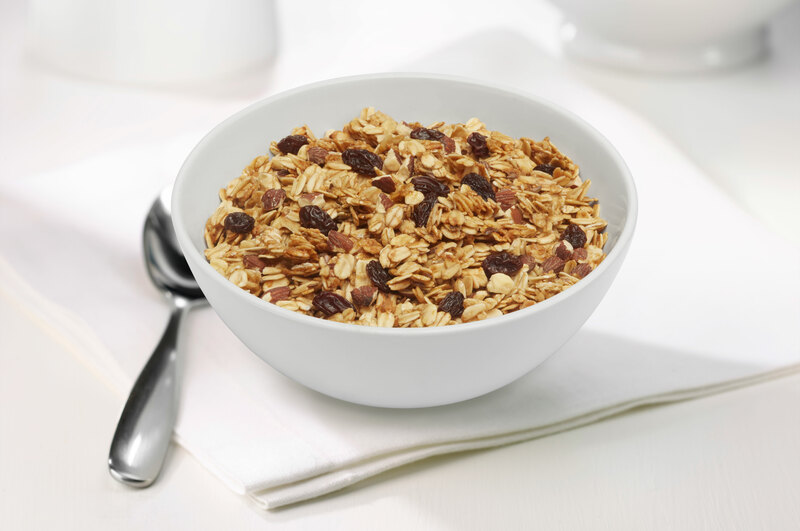 Plump raisins, roasted almonds, sunflower seeds, flax seeds, certified gluten-free oats all sweetened with brown sugar and honey are sure to make this premium granola your favorite! 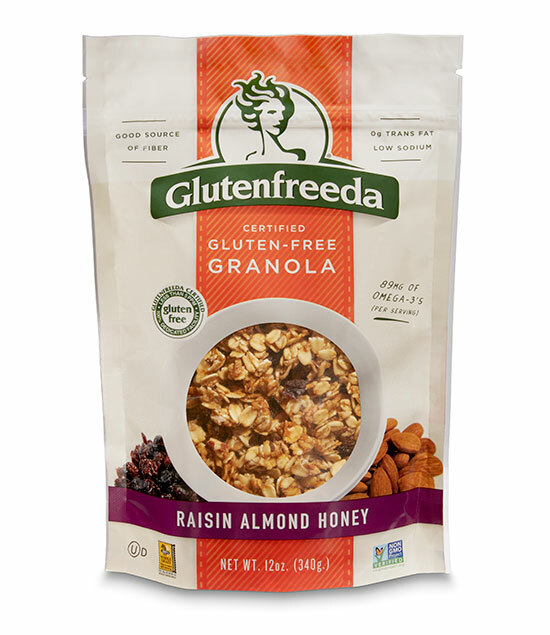 Now, the wholesomeness of a hearty bowl of granola can be safely added back into your diet with Glutenfreeda Raisin Almond Honey Granola. This delicious granola also makes a great take-with-you snack for whenever you’re on the go. 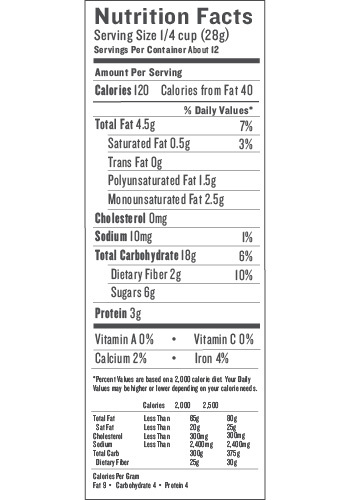 Certified Gluten-free oats, almonds (almonds, canola oil and/or safflower oil), brown sugar, raisins (raisins, glycerin, vegetable oil, canola or sunflower oil), organic honey, canola oil, flax seeds, contains less than 0.5% vanilla extract and cinnamon.